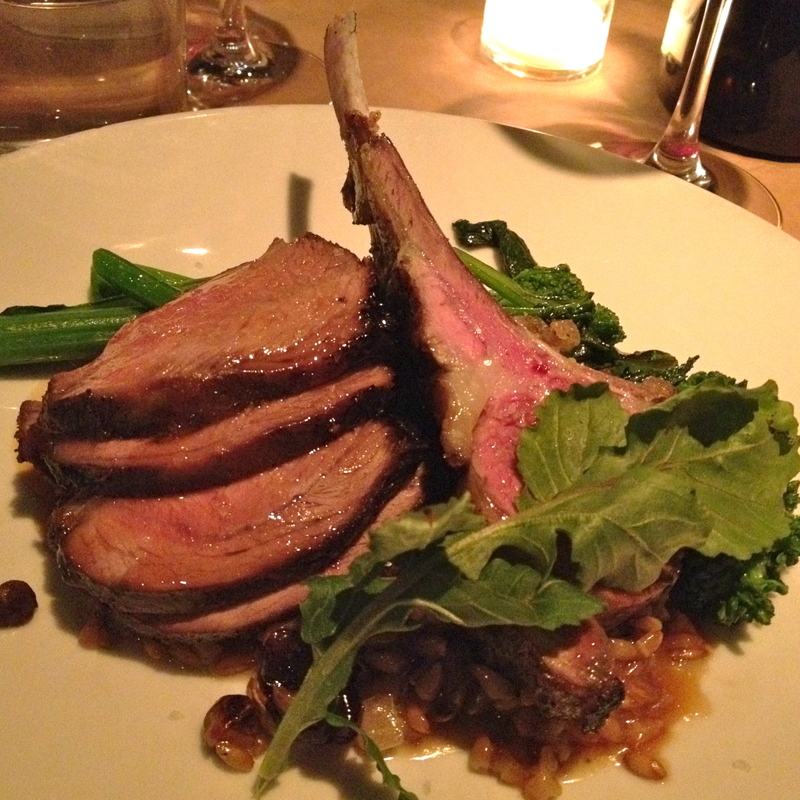 Grilled lamb with rapini, farro and sugo. Among the superstitious, it’s a discouraging black mark on the calendar. Now, I am not without my quirks, but I’m not one for extreme superstition. I do approach the day with some amount of caution, however — just in case. But when my workday ended early, J unexpectedly got the day off and Zandra suggested dinner out, I knew the stars had aligned in our favor. The night’s destination was Clarklewis on industrial SE Water Street. A few steps lead up from the street into a boisterous, loft-style dining room. Walls and pillars are painted a sleek, dramatic black; the bustling kitchen and a cracking wood-fired oven occupy the large corner facing the entrance. Opposite stands a wall of garage doors that, in warmer months, open onto the street. 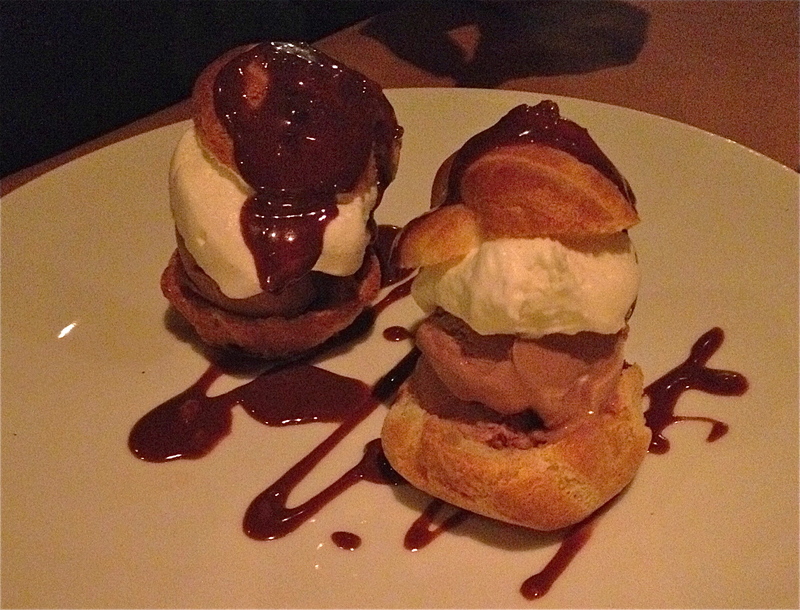 The kitchen is all about fresh, local ingredients with French and Italian notes. Divided into starters, salads, fresh pasta, entrees and of course dessert, the daily changing menu is well rounded with three to five options under each header. We started with Quinalt steelhead caviar — briny medium-sized yellow eggs served with potato croquettes — and grilled Monterey Bay calamari with an irresistibly soppable onion broth. If you’re lucky enough to snag the calamari, order extra bread. We each ordered salads, covering all three on the menu. James and Zandra both had the Oregon Dungeness crab salad, a fresh mix of crab, endive, avocado and citrus. J ordered the baby greens with pomegranates, feta, apples and candied walnuts. Yup, good. But among the salads, my beet terrine was the standout: a beautiful cross-section of layered beets and goat cheese with a drizzle of balsamic. Trying that at home for sure. Succumbing to the siren’s call, my mates all chose fresh pasta as the main course. Available in two portion sizes, pasta can precede an entree, or be an entree in and of itself. Knowing I likely would be making pasta this weekend, I skipped the noodles, but lucky for me I had bites from each of their plates. 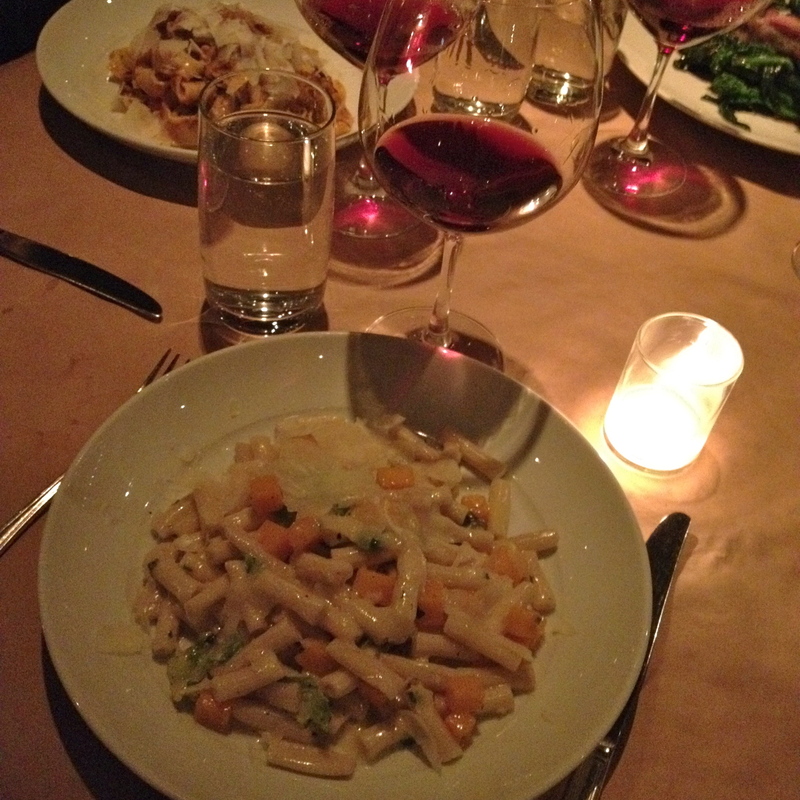 James’s rigatoni was a creamy concoction of butternut squash, Brussels sprouts, Oregon black truffle and Parmesan cheese. J had a glorious mound of spaghetti with duck confit, hedgehog mushrooms, egg, creamy bits of roasted garlic and Parmesan. 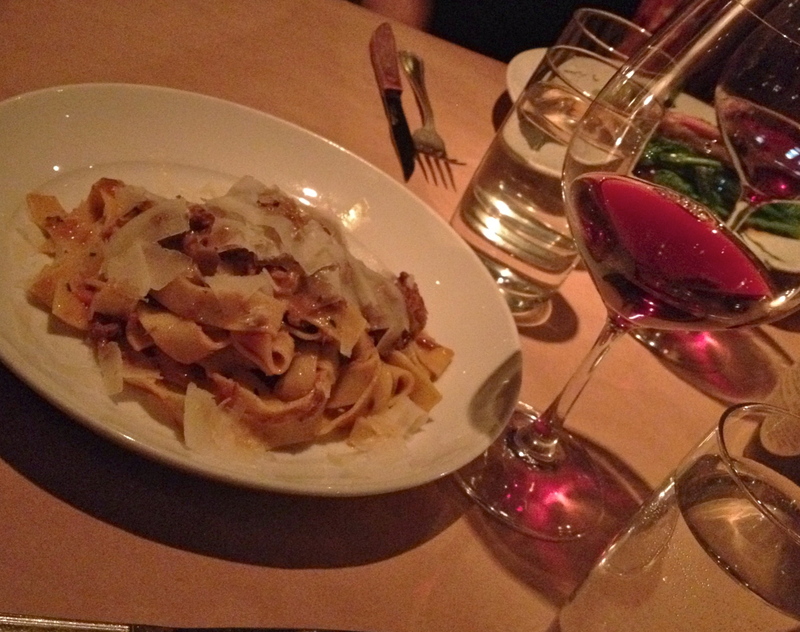 Zandra, in my opinion, had the night’s winner: tagliatelle with lamb ragu and Pecorino Toscano, fragrant with rosemary. My entree: beautifully medium-rare grilled lamb atop farro and a rich lamb sugo (a tomato-y meat sauce) with preserved cherries for a bit of tart-sweetness. 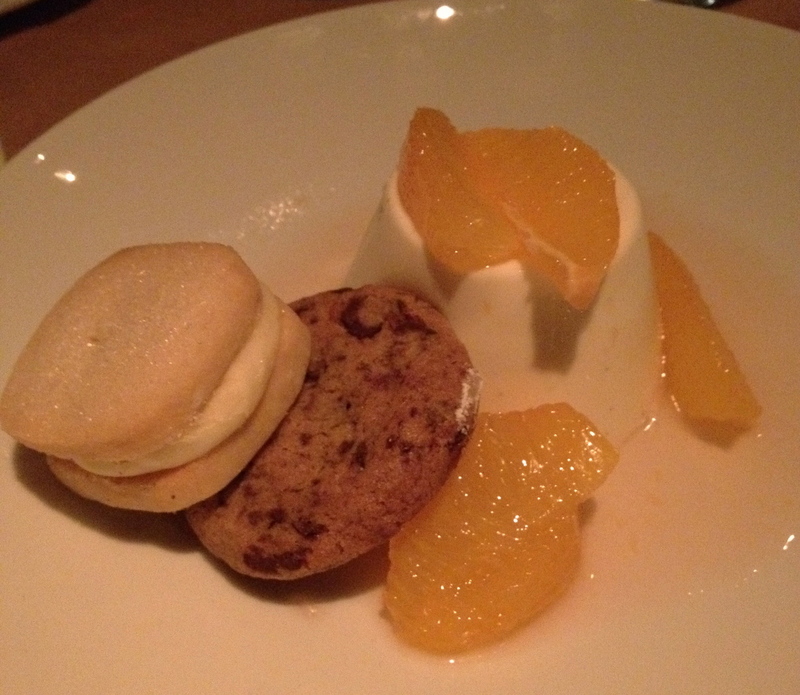 Desserts were chocolate profiteroles for J; bright citrus panna cotta for Zandra; and a cheese board for James and me. Full and happy, we headed out into the chill toward home, where later I sneaked a forkfull of J’s leftover pasta. One bite led to another, and, well, (sorry, sweetie) I ate the whole thing. Thank goodness he wasn’t too mad. I guess it was just my lucky day. 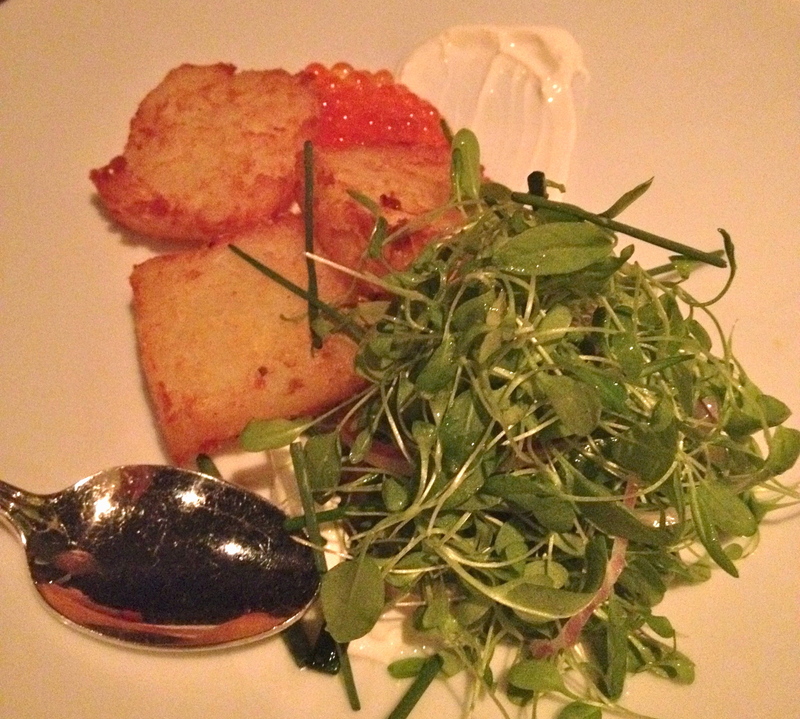 Quinalt steelhead caviar and potato croquettes. 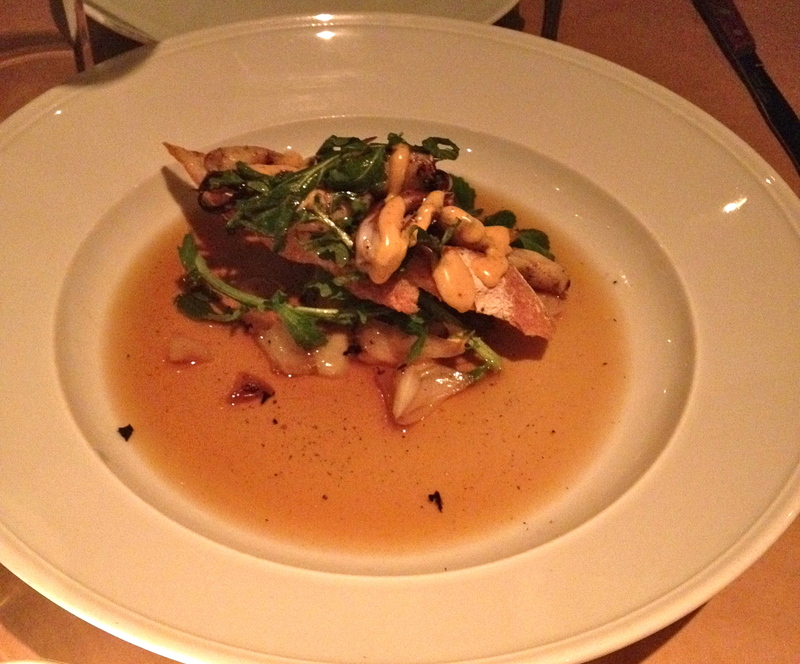 Grilled calamari with onion broth. Sop it. Love it. Rigatoni, butternut squash, truffles, Brussles sprouts and Parmesan. I could just dine on the crab salad. YUM! 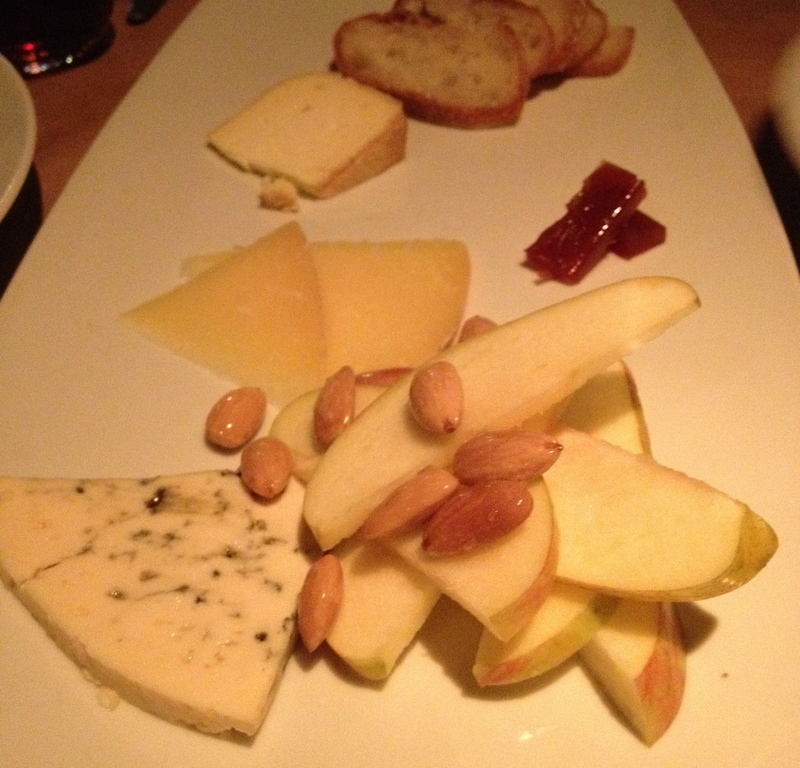 and the cheese plate. and the rigatoni with butternut squash. ok, that’s a whole meal. Wish we could have been there with you. The crab salad was definitely delicious. Hard to pass up fresh pasta, though! I am a big fan of cheese for dessert. And dinner. And breakfast! Did I mention snacks?